Find a used Vauxhall near you from RAC Cars! As one of the oldest vehicle manufacturers in the UK, Vauxhall has a remarkable reputation for producing a plethora of unique and reliable cars, perfect for family life. Vauxhall are also popular among first-time buyers looking for an affordable yet reliable motor that’ll get them from A to B. Vauxhall motors appeal to a broad number of people and tick all the right boxes for family car buyers amongst other motor enthusiasts. 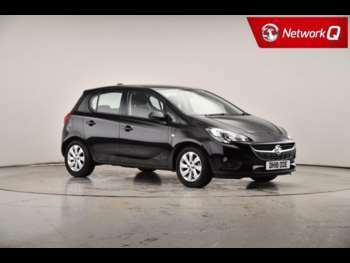 The much-loved models such as the Vauxhall Corsa and the Vauxhall Astra sit proudly amongst the range of used Vauxhalls for sale at RAC Cars. There are also a large number of other, niche models that compete well in the modern used-car market. City car buyers will enjoy the Vauxhall Adam, which is cute with a unique silhouette that performs well against competitors. Other popular models are the Agila city car, the supermini MPV Meriva and the large MPV Zafira Tourer. For a large 4x4, why not check out the Antara. From humble beginnings to global success, Vauxhall are a steady and comforting presence on our roads. For more than 20 years, Vauxhall have been the second-largest selling car brand in the UK. The popularity of their models is reflected in the many awards they have won over the years. At the 2017 What Car awards, Vauxhall scooped up “Best Family Car”. This model was also recognised for its style and technology features at the Car Tech awards, claiming three awards for “Tech Car of the Year”, “Best Self-Parking System” and “Best Safety Innovation”. Just take a look at our extensive range of used Vauxhalls for sale, to find your next car.